October is National Seafood Month, and the Gorton’s crew is celebrating by promoting their “Wicked Good Seafood” campaign with fans. In honor of National Seafood Month, the promotion will highlight delicious ways to enjoy seafood, while emphasizing Gorton’s rich heritage and offering the Wicked Good Seafood sweepstakes, which gives consumers the chance to win a grand prize trip for four to Boston including airfare, lodging and $1,000 in spending money. 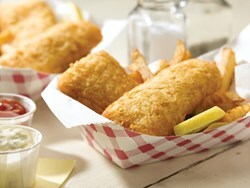 Gorton's Classic Fish Fry is a Wicked Good way to celebrate National Seafood Month! We’re passionate about the goodness of great seafood and we’re passionate about our New England heritage. ‘Wicked Good Seafood’ is a celebration of National Seafood Month, our homeport of Gloucester, and wicked good seafood. Wicked Good Seafood includes a sweepstakes, which gives consumers the chance to win a grand prize trip for four to Boston including airfare, lodging and $1,000 in spending money. Consumers are also entered to win Gorton’s product coupons so they can take part in the month-long celebration, as well as Gorton’s of Gloucester sweatshirts to celebrate the company’s New England heritage. Consumers can enter the sweepstakes daily between September 13 and October 18. Wicked Good Seafood is also a chance to highlight the importance of eating more seafood for better health. Research has shown that diets rich in seafood can aid brain development, promote heart health, help fight obesity and improve your overall health. The USDA, American Heart Association, American Cancer Society, and American Diabetes Association all recommend eating seafood at least twice a week. Gorton’s will celebrate Wicked Good Seafood and National Seafood Month across Facebook, Twitter, Pinterest, and Instagram. To enter the sweepstakes without purchase, “like” the Gorton’s Facebook page and fill out every required field in the entry form. To enter without going through Facebook, visit the Gorton's Promotions page and fill out the required fields in the entry form. Only online entries accepted or permitted. Recipe inspiration and a free digital newsletter are also available at gortons.com. To connect with Gorton’s, please visit their Facebook, Twitter and Pinterest pages where news, wicked good recipes, and more are frequently announced. Since 1849, Gorton’s mission has been to help people everywhere enjoy the goodness of great seafood. 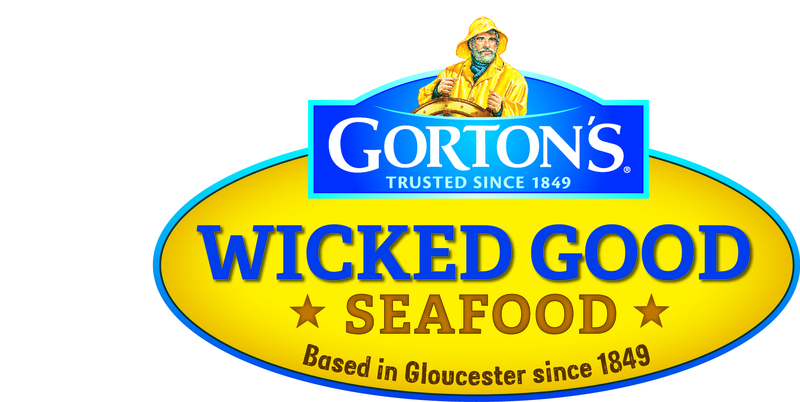 Headquartered in Gloucester, Massachusetts, Gorton’s is one of America’s oldest continuously operating companies, and continues to be the innovative leader in the seafood industry. Gorton’s full line of frozen seafood products spans from Breaded and Battered Fish Sticks and Fillets, to gluten free Grilled Fish, to Shrimp Scampi and innovative product lines such as Skillet Crisp and Simply Bake. Gorton’s products are available nationwide in better independent and chain grocery stores. Gorton’s proudly stands behind the promise that consumers can, “Trust the Gorton’s Fisherman,” for the best-tasting, highest-quality seafood. The Gorton’s Fisherman, in his yellow slicker and rain hat, embodies this commitment. For more information, please visit http://www.gortons.com or call 1-800-222-6846.